Bioderma Atoderm SOS Spray soothes itching in 60 seconds for 6 hours of relief. Skin is immediately calmed and the urge to scratch is reduced. 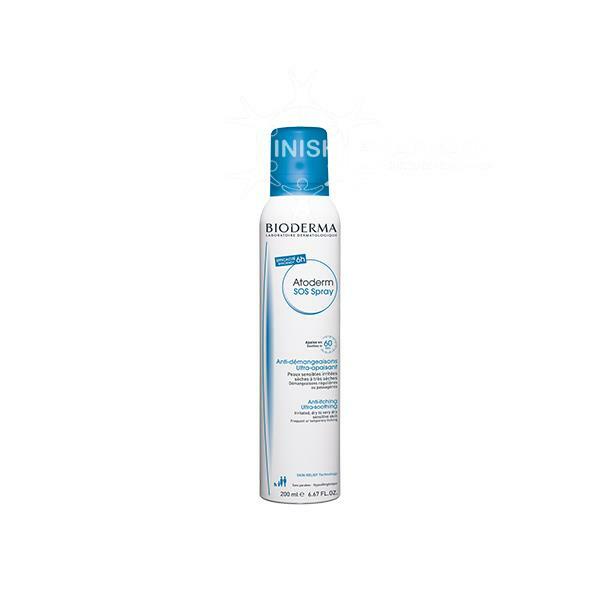 This spray has an ultra-lightweight texture and provides long-lasting hydration and intensive protection. This new technology contains Ambora and Green Tea extracts and soothing Enoxolone, which blocks the process that causes itching. The Skin Barrier Therapy patent protects even the driest skin from the bacteria that causes itching to intensify. Vitamin PP and Squalane supplement the formula in order to supply the oils required to strengthen the skin barrier.